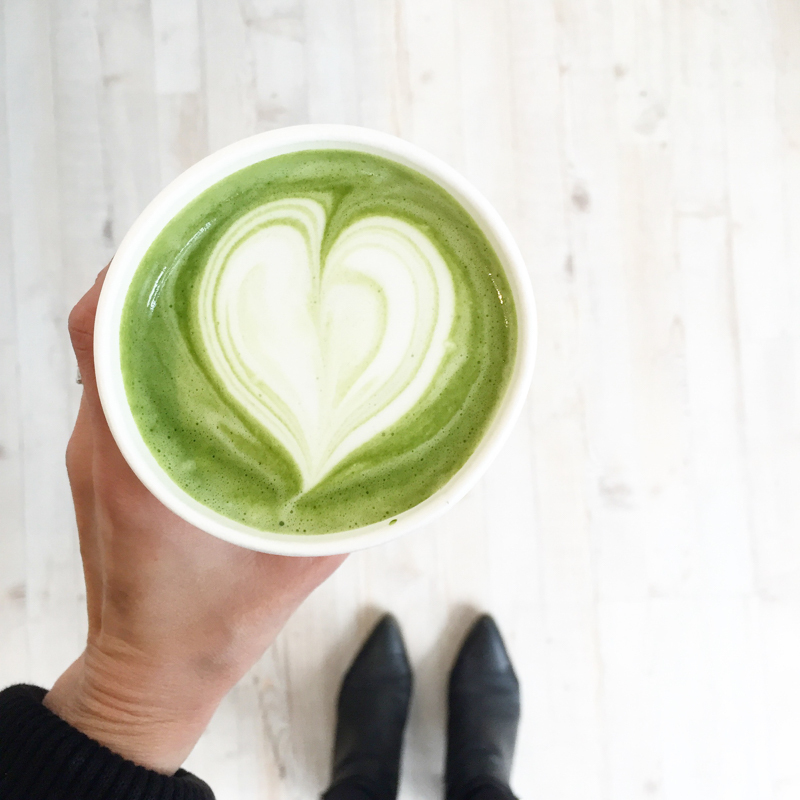 Monthly Favourites | La Petite Noob | A Toronto-Based Fashion and Lifestyle Blog. Although not yet the end of October, November is fast approaching and I'm left reflecting on what turned out to be an extremely busy month. Between working full time, blogging commitments and a last-minute trip to NYC I've been running off my feet this October - but in the best way possible! This month I has the pleasure of finding some great products, as well as attending some great events and I can't wait to share them with you. Since starting La Petite Noob two years ago in December (crazy how time flies) I've had the opportunity to learn about some great products and attend awesome events, so I figured what better way to share them with you then to start a new 'Monthly Favourites' post. Let me know what you think but in the meantime, here's what I've been loving for the month of October. This past weekend, I had the whirlwind experience of flying into New York City for the weekend by myself to visit my girlfriend who lives there. I'll consider this another task on my 30 Before 30 list completed, since I'm used to traveling by air with others and this was my first time arriving and leaving from a destination all by myself. Although Google Maps and Uber make navigation a little easier, I was surprised by how anxious the whole experience made me. Everything went well and I had the best time hanging around Soho, The West Village and Chelsea with one of my best friends. Looking back, I feel so silly for being nervous to fly on my own and look forward to the next time that I'm able to do so. I've been coveting a purse pom from afar for some time, and when I got my hands on this pink pom from Mendocino, I was smitten! Although I do love the pop of pink that it adds to my purse, I've opted to use is as a keychain since I'm forever in a state of panic for losing my keys and this hot pink pom makes them virtually un-losable in a purse. I've been lukewarm on the whole subscription box services, since I wasn't sure if you were actually getting the most bang for your buck. When I was approach by FabFitFun to try out their Fall box, I thought why not - this would be a great way to see what the subscription not craze was all about. I can safely say now that I am a total convert because when I got my first box it felt like Christmas! 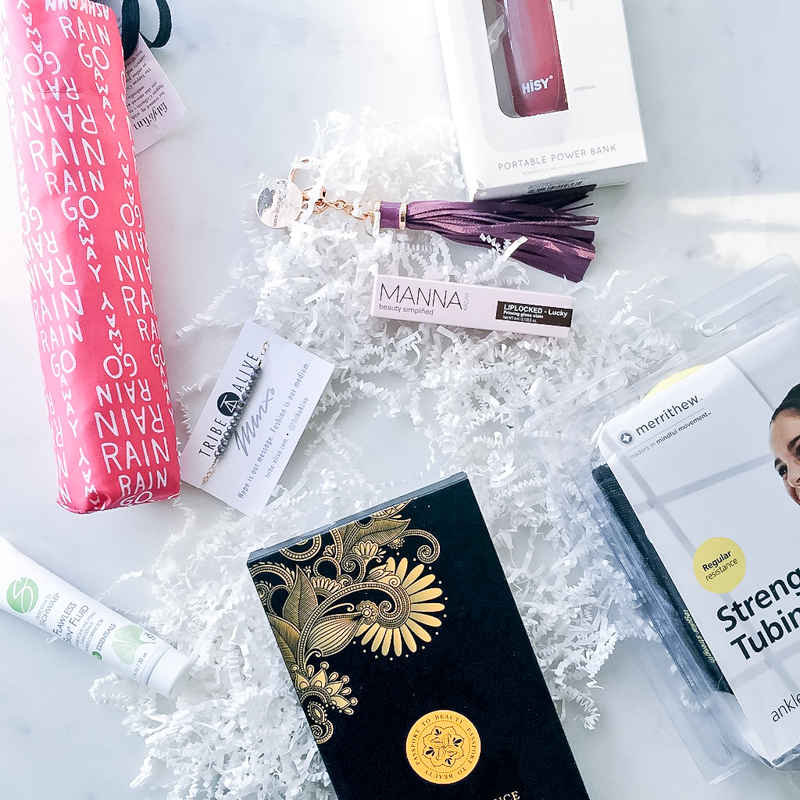 What I really appreciated about the FabFitFun box is the variety it offers you; beauty, wellness and fitness are all covered. It even came with the cutest umbrella which served as a lifesaver during the rainy month of October in Toronto. If you want to try out your own FabFitFun box, use code JOELLE to save $10 off your Fall box. 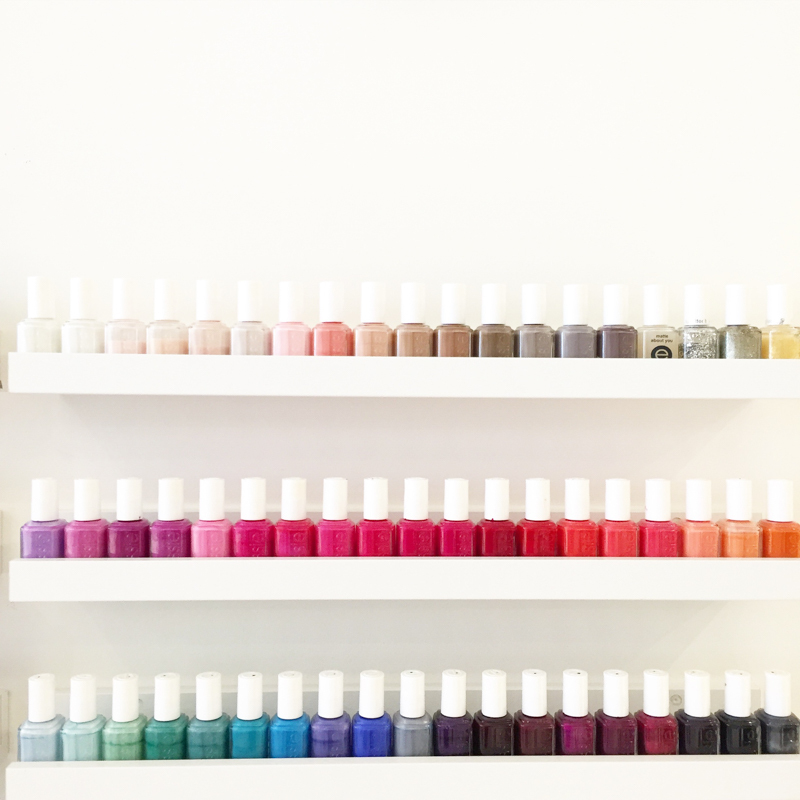 Although I love a good gel manicure, and appreciate how easy it can make life to not have to worry constantly about chipped nails, I've been hesitant to make them a part of my regular routine since I absolutely cannot stand being inside of your typical nail salon. The smell, the atmosphere - call me a baby, but I just don't like it. When I was approached by The Ten Spot Danforth Location to give them a try, I was skeptical. They reassured me that their not your average salon, and boy were they right! The Ten Spot was clean, spacious, modern and had the most inviting atmosphere of any salon that I had been in. I left with a lovely deep-red gel manicure and follow up appointment in two weeks. First-time visitors of The Ten Spot Danforth are able to save 25% off of their services, so definitely be sure to try them out for yourselves. I should mention that I do not receive any sort of compensation for the promo codes at all - I just want to make it easier for you guys to enjoy some of my favourite things! 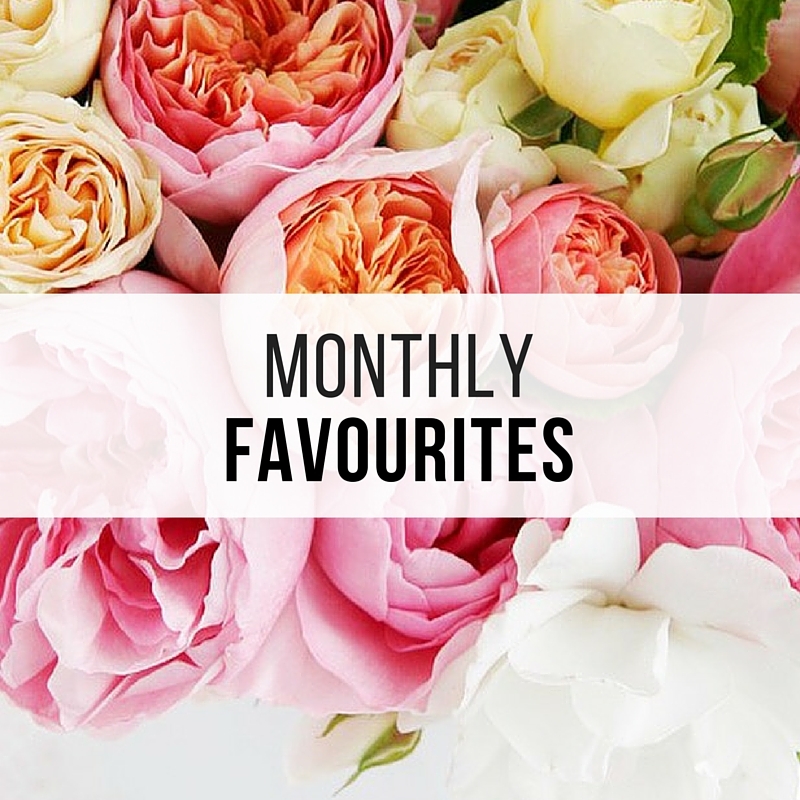 What have been some of your favourite thins this month? Do you like this new 'Monthly Favourites' column idea? Let me know! 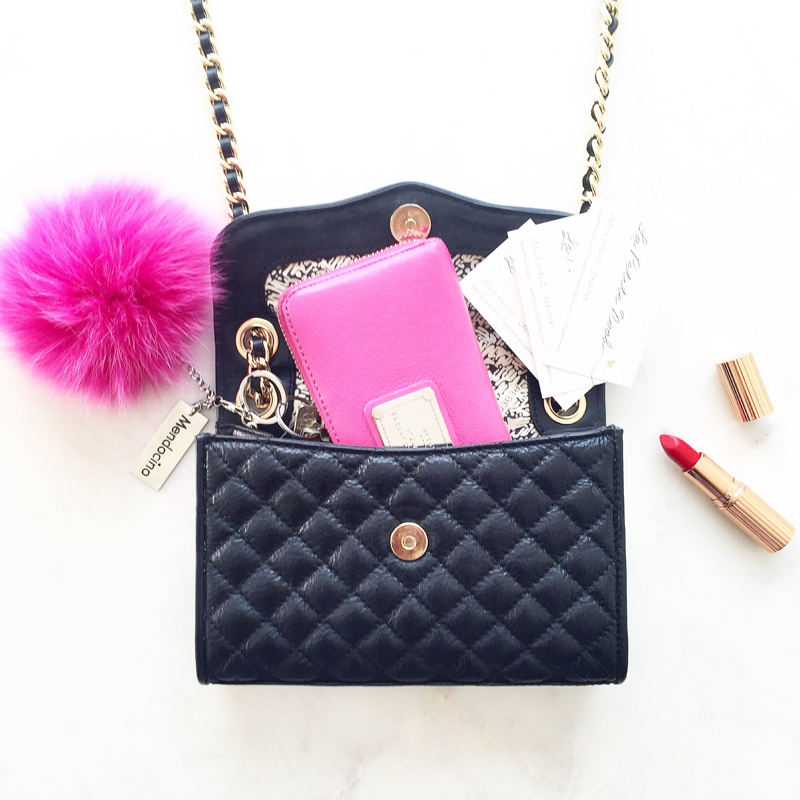 That little purse pom is so adorable! Thanks Kris, I love it too! I definitely want to get some more in neutral colours, they're way too fun!